Courtesy Script Pro is created by Alejandro Paul and published by Sudtipos. 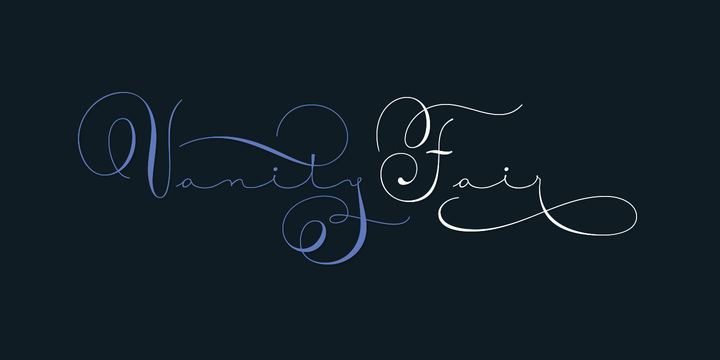 Inspired by the Victorian flourish design ornaments, Courtesy Script Pro is characterized by elegant, graceful ornate lines which are typical of that time. With wide connections which favors readability, this typeface provides a broad variety of character styles and weights which are meant to adapt to various design projects. A font description published on Monday, March 24th, 2014 in Alejandro Paul, Fonts, Sudtipos by Alexandra that has 6,059 views.